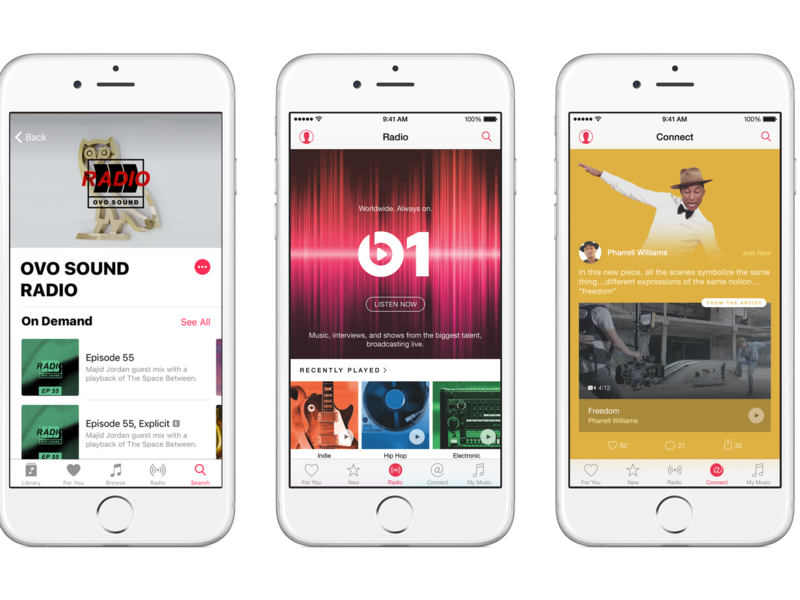 Apple Music lets users select music, videos, or podcasts to stream to their device on-demand. You can also find already-existing content curated by experts from across the globe. Users will also have access to Beats 1, the service's 24-hour radio station, which broadcasts in over 100 countries. With the new update, Apple Music users will now be able to create profiles and share music with their friends. A new, dedicated, section dubbed "friends are listening to" will aim to create an engaging social environment within the app. Apple has also rolled out a new shared "up next" list which will allow other users to control upcoming music to be played.